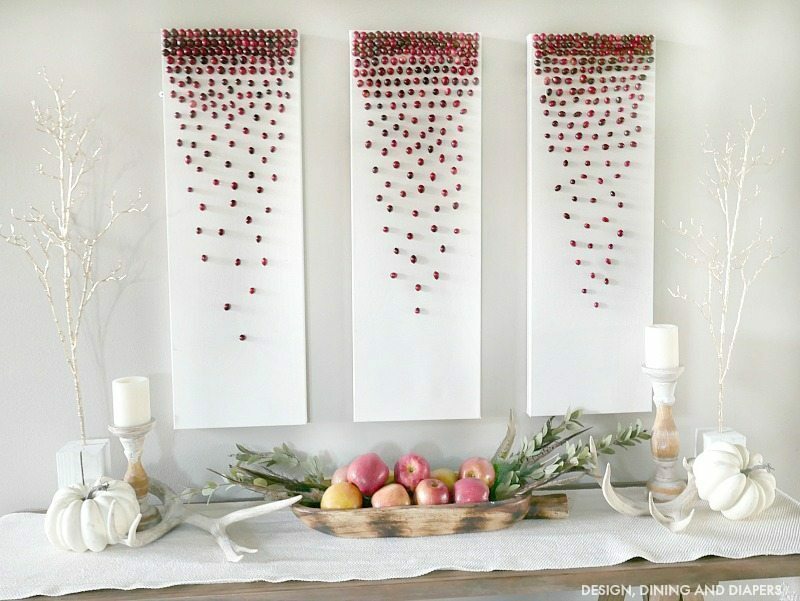 This year I partnered with the Cranberry Marketing Committee and they challenged me to create a piece of home decor using cranberries. I immediately jumped at the opportunity and you can too! 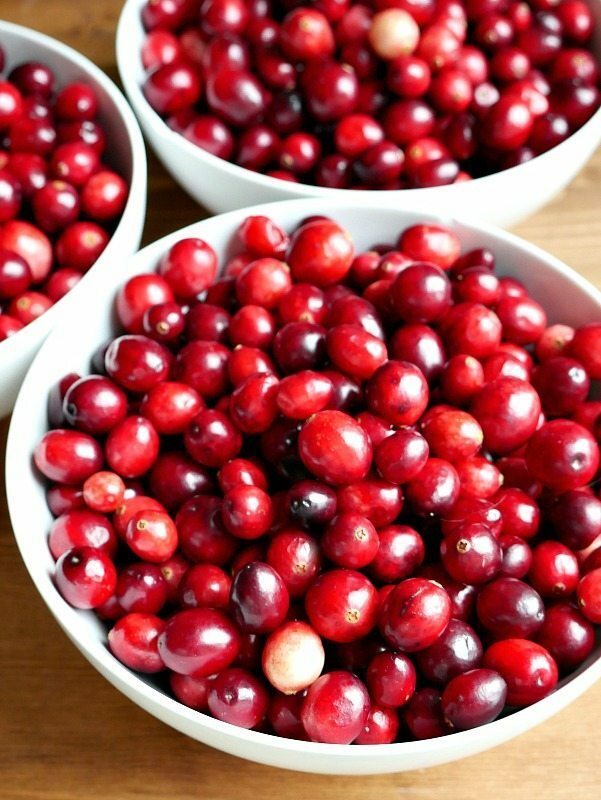 They are launching the second annual Cranberry Friendsgiving Photo Contest. By posting a photo of your best cranberry dish, drink and décor on Twitter, Facebook, Instagram or Pinterest and using the hashtag #FriendsgivingCranberryContest, you could win up to $4,000 in prizes. Make sure you also upload it at CranberryFriendsgiving.com to officially enter. For this challenge, I wanted to create a piece of artwork that can be displayed at our fun Friendsgiving gathering for all to see and celebrateduring this wonderful time of friends, family and thanks. 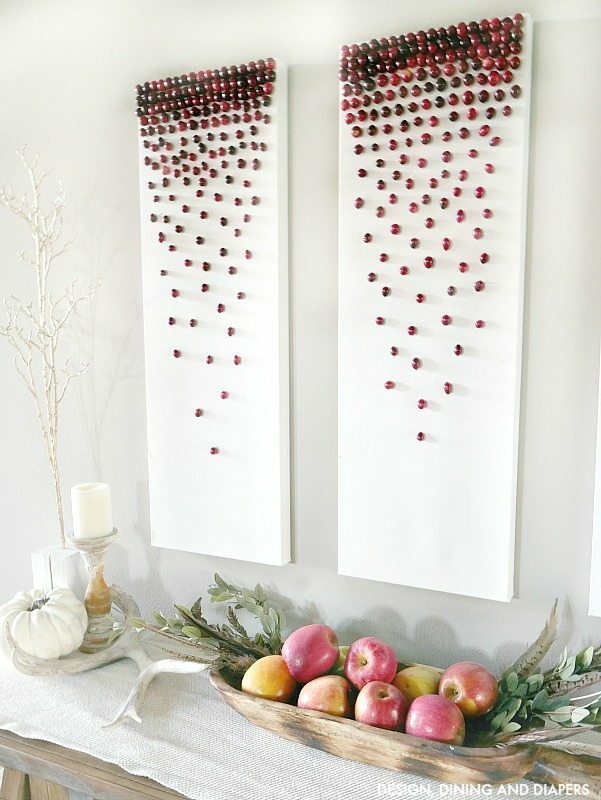 So I made some Modern DIY Cranberry Decor to display in our entryway. 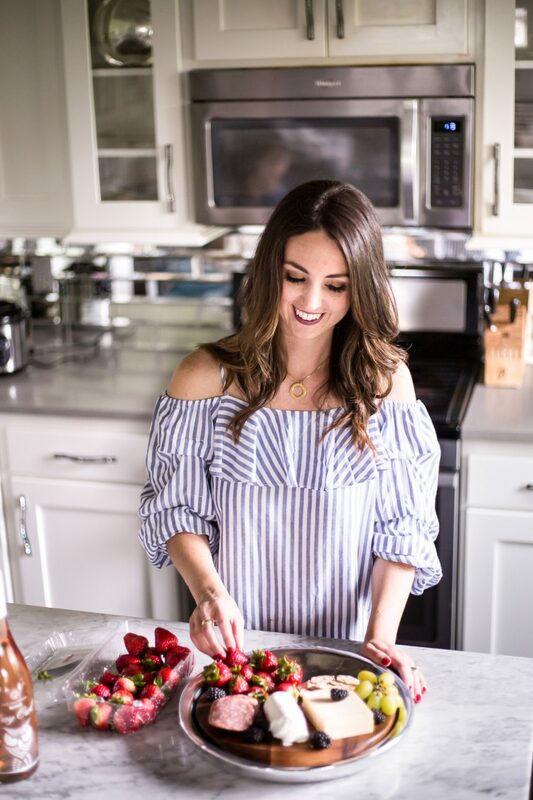 I’m a neutral girl at heart, but I love using pops of color with natural elements such as food and greenery. This time of year is really fun because we start to see these really vibrant reds coming out in anticipation for the holidays yet we still have those rustic elements as we hold on to fall. And that is how I styled this display in our entryway. 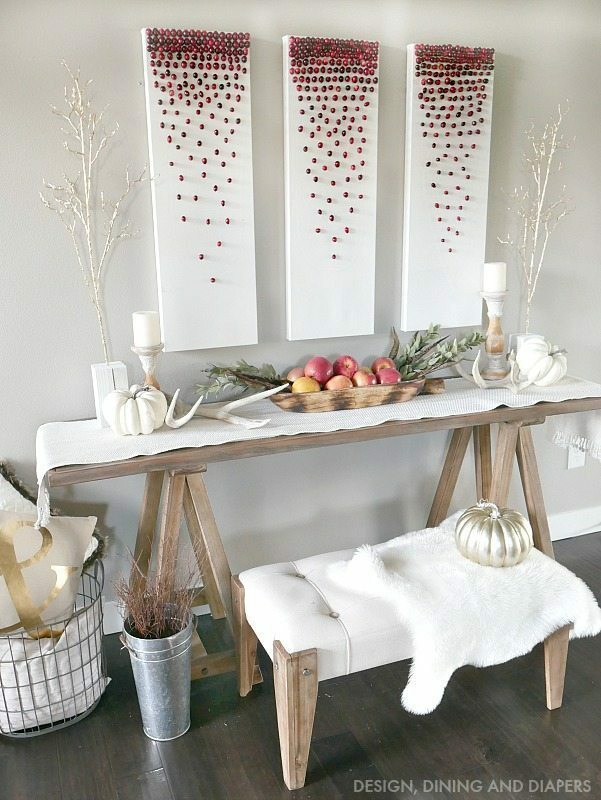 And this artwork is so great because it will transition right into Christmas decor! I can’t wait! Now, tell me the truth, if you walked in would you automatically think these were cranberries? These were so easy to make. A little time consuming but relatively easy. So I thought I’d give you a few tips and tricks. I only ended up using one large bag of cranberries for this. I would say about 5 cups total. Just look at those vibrant colors! 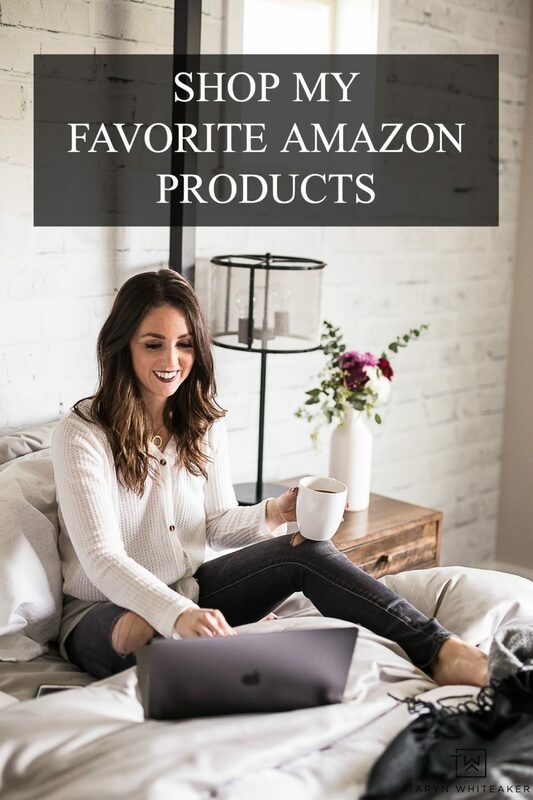 Then, I glued them onto 12″ X 36″ canvases that you can pick up at any craft store or on Amazon. I used hot glue for this project, but you do have to be very careful. You can’t be very rough with these pieces. I had to glue a few of them back on. 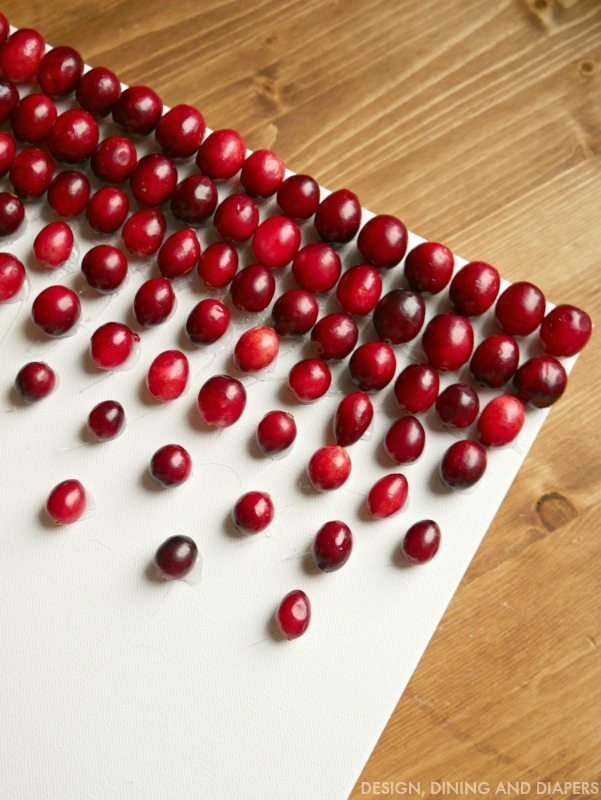 To create the cascading look, I did three tight rows on the top and then gradually increased the distance between the rows and the cranberries. And I took that all the way down. And as most of you know, when working with hot glue you tend to get these little pieces that need to be picked off. 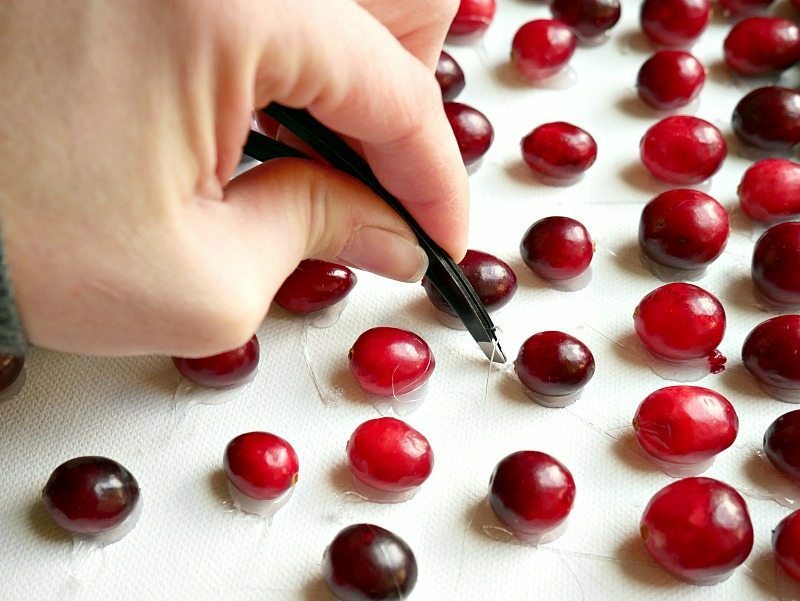 I used a pair of tweezers to pull off the excess glue in-between the cranberries. Not sure what you want to make for the contest? 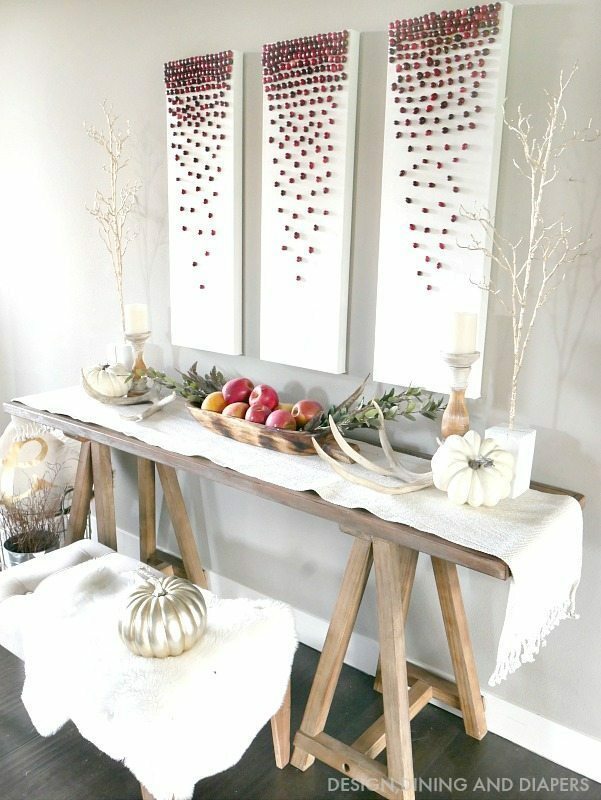 Visit CranberryFriendsgiving.com for tons of ideas! wow..how creative and very bright looking love it! Simple n sweet like the holiday season! Love your style. Where is the runner from that you have on the table in your entry way. It is creamy white with the fringe on the ends of it. It is so pretty.